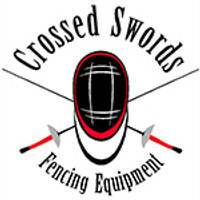 Crossed Swords Fencing Equipment (Manitoba) has integrated online payment through a secure service provided by Moneris (Visa, VisaDebit, MasterCard and American Express). Sales in Manitoba are subject to 8% PST and 5% GST. Sales in Canada other than Manitoba are subject to 5% GST or HST according to province. Sales to the US are tax exempt.